Alexandrina Victoria, Queen of the United Kingdom of Great Britain and Ireland, Empress of India (1819 - 1901) was the child of Edward, duke of Kent, and of princess Victoria Mary Louisa of Saxe-Coburg-Gotha. On the 20th of June, 1837 , after her uncle's (William IV) death 18 year old Victoria became the direct heiress to the throne.The coronation took place on the 28th of June 1838 . Victoria had no enemies except of few number, and the land was peaceful and prosperous when she began to reign over it. During her reign she had a good advisers in her uncle Prince Leopold of Coburg and his doctor and private secretary Baron Stockmar, a man of encyclopeadic information, who had given special attention to the problems of a sovereign's position in England and played an important role in Queen Victoria 's life. So, they had always hoped to arrange the marriage of Victoria with her cousin, Albert of Saxe-coburg-Gotha. The marriage took place on the 10th February 1840 . The queen has 9 children all of whom married royalty. She is sometimes referred to as the Grandmother of Europe. When she died she had over 35 grandchildren. What was it like to live in the Victorian Age? Thackeray exposed the middle class hypocracy in his Vanity Fair. It was a great age for novels. Women writers: the Bronte sisters, Mrs Gaskell flourished as never before. Thomas Hardy and Henry James were Victorian novelists too. Painters of the group called the Pre-Raphaelite Brotherhood expressed the great Victorian nostalgia for the Middle Ages. Victorian science was to become greatly influential on the developments in the Modern Time. Charles Darwin the founder of the modern theory of biological evolution shocked the world. This is FAR from an exhaustive list! Please feel free to contact me to add your lap book, worksheets, lesson plans and unit studies in this era. Here are some great places to visit to complete Victorian inspired crafts and activities, read articles about the time and even play games with the knowledge you have gained. 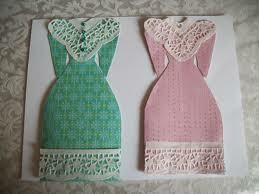 below is a silly little skit about Victorian fashion. To your left is a short visual on how the fashions changed. BBC History Overview of the Victorian Age: this source provides easy to read summarized information on the Victorian Age in Naval Supremacy, Politics, The Industrial Revolution and Ireland. Great for younger students. 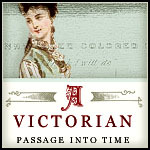 Victorian Web: This site is geared for older students - adults. It boasts 16,000 Primary and secondary texts (including scholarly book reviews) in British Victorian economics, literature, philosophy, political and social history, science, technology, and visual arts (painting, architecture, sculpture, book design and illustration, photography, decorative arts, including ceramics, furniture, jewelry, metalwork, stained glass, and textiles, costume and various movements, such as Art Nouveau, Japonisme, and Arts and Crafts). The Victorians: this source compares the conditions of the working class and the poor. A focus on technology, industry, transportation and popular culture. historians recreate life in Victorian. This episode is about the pharmacy.Learn how medicines were made back then. We would love hearing from you! share your resources!